Transitional Housing | Baltimore, MD - Beyond Housing Solutions, Inc.
with Help from Beyond Housing Solutions, Inc.
At Beyond Housing Solutions, Inc., we strive to not only rehabilitate our guests, but to prepare them for life in the real world. We offer a suite of services to help those with any number of disabilities, ailments, or situations. From HIV testing to smoking cessation classes, our community outreach can help anyone, no matter how dire their situation may be. 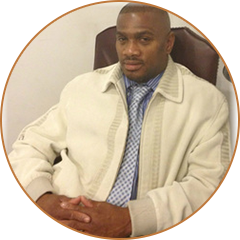 In 2001, Mr. Rodney Moore began as an outreach worker with Park West Medical Center. Working closely with the HIV homeless population, he became a certified HIV tester. He has an extensive background working as an outreach clinic coordinator, providing medication and housing services. Since 2013, he has diligently educated staff and management on the needs to support those living with HIV. Beyond Housing Solutions, Inc. in Baltimore, Maryland, has assumed the role as a leader and educator in the area of HIV education and housing support. Mr. Moore was recently appointed role as President of the Maryland Association for Supportive Housing. This allows him to educate other housing providers who seek to provide supportive housing throughout Maryland and the Washington, DC, Metropolitan area. Our goal is to provide supportive and transitional housing for individuals that are homeless, living with HIV, suffering from mental issues and otherwise disadvantaged. We offer sustainable living, skill sets, job readiness, education and beyond. We go beyond transitioning by directing them towards resources to project a sustainable life and independent living. "Our Mission is to provide the necessary tools & services to allow an individual to develop the skills and experience to lead a productive life."